Mission data from TESS Observation Sectors 3 and 4 are now publicly available for download with a number of MAST services. TESS mission data for Sectors 3 and 4 are now available at MAST. 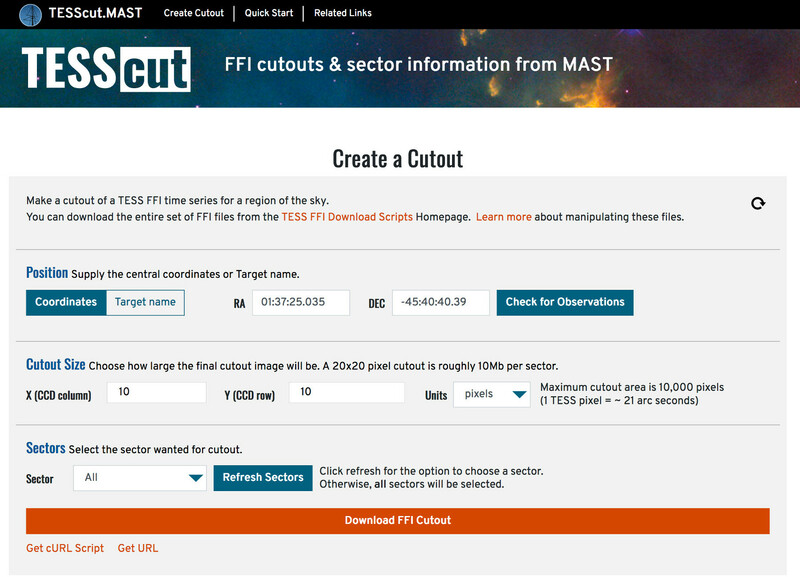 Sector 3 (Data Release 4) is a full delivery including the 30-min cadence Full Frame Images (FFIs), the 2-min cadence target pixel and light curve files, and the data validation files associated with the TESS Pipeline search for exoplanets. For Sector 4 (Data Release 5) only raw and calibrated FFIs are included, the 2-min cadence data for Sector 4 will come in a future delivery. Additional information on the different file types and naming conventions can be found at the MAST Data Product Summmary page. Please read the data release notes for more information about characteristics identified in these data. These data can all be accessed via the MAST Portal, the MAST API, from exo.MAST, bulk download scripts, or through Amazon Web Services. Updated data through the TESSCut service is in progress and will be made available by the end of the day. 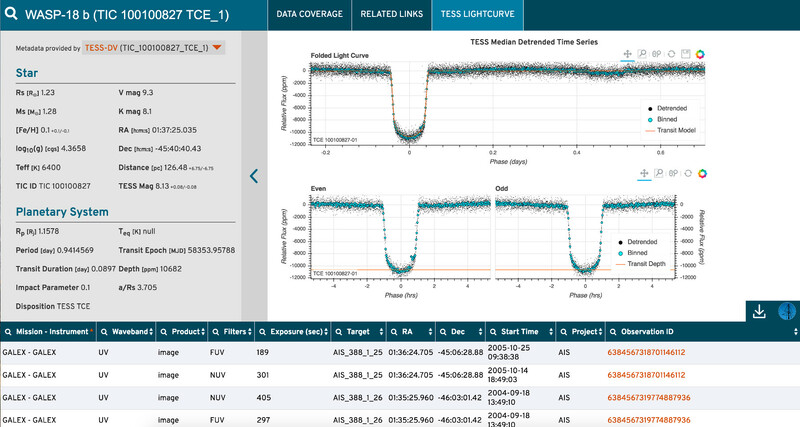 See the TESS Archive Manual to learn more about the various ways to access TESS data. A number of Jupyter notebook tutorials are also available to provide some guidance on working with the different data products from TESS. Additional questions on accessing TESS public data through MAST may be directed to the Archive Helpdesk. Funding for the TESS mission is provided by NASA’s Science Mission directorate. TESS team partners include the Massachusetts Institute of Technology, the Kavli Institute for Astrophysics and Space Research, NASA’s Goddard Space Flight Center, MIT’s Lincoln Laboratory, Orbital ATK, NASA’s Ames Research Center, the Harvard-Smithsonian Center for Astrophysics, and the Space Telescope Science Institute.